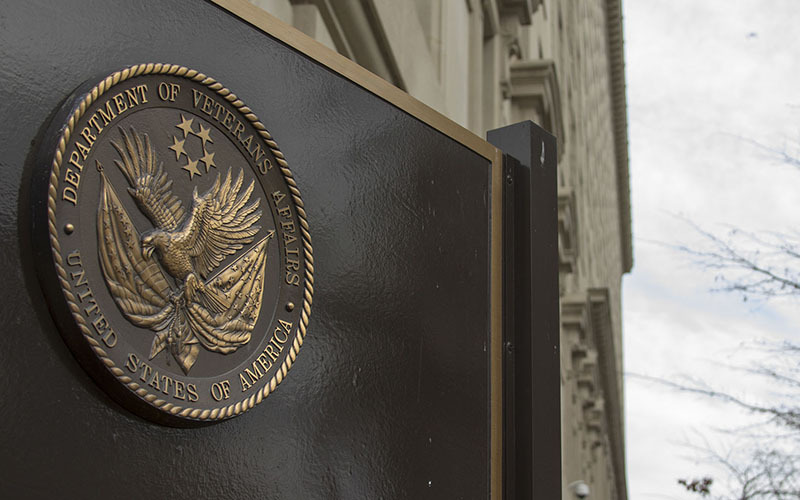 WASHINGTON – Arizona lawmakers are expressing concern over the “questionable record” the newly appointed director of the Phoenix Veterans Affairs Health Care System racked up in her previous VA positions. In separate letters Friday to President Barack Obama and VA Secretary Robert McDonald, the state’s senators and four of the state’s House members raised questions about RimaAnn Nelson’s tenure at the St. Louis VA hospital, where an inspector general’s report looked into charges dental equipment was not properly sterilized. “To think that Ms. Nelson, with her less-than-impressive past, is the best possible candidate to provide crucial leadership for the facility equated to ‘ground zero’ of the VA scandal is unequivocally offensive to us and each of the veterans we represent,” said the letter from Reps. Matt Salmon, R-Mesa, Paul Gosar, R-Prescott, Ann Kirkpatrick, D-Flagstaff, and Kyrsten Sinema, D-Phoenix. Their letter to Obama called on him to direct McDonald to delay Nelson’s appointment. VA officials in Phoenix would not comment on the dispute, and officials in Washington only provided a statement from earlier last week indicating that Nelson was scheduled to start this week. In that statement, VA Deputy Secretary Sloan Gibson said he is confident Nelson “will provide the sound leadership required to continue to build upon the progress we have made” at the Phoenix facility, where problems in patient care uncovered in 2014 led to discovery of problems systemwide. The VA announced last week that Nelson would take over as director of Phoenix facility and Dr. Maureen McCarthy would be the new chief of staff. But lawmakers were most interested in Nelson, who most recently served as director of the VA Regional office in Manila, Philippines, after leaving the St. Louis facility. It was at St. Louis in 2011 that the inspector general investigated reports of unsafe and unsanitary conditions in dental care that “potentially infected over 1,800 veterans with HIV, hepatitis B, and hepatitis C,” according to the House members’ letter. That report found longstanding problems with the processing of dental equipment at the facility. Even though the chances of “patient-to-patient transmission of a blood-borne infectious disease … was unlikely,” the facility acted correctly when it notified 1,812 patients who were treated between February 2009 and March 2010, the report said. Unlike with Nelson’s appointment, Sinema said the department had reached out to the Arizona delegation before appointing the former Phoenix VA Director Deborah Amdur. “I got to learn all about her history and talk to her about her history before she was actually appointed,” Sinema said of Amdur. “And in my interview with her and by reviewing her history, I became comfortable with her appointment. “We were not afforded that same courtesy in this appointment, and I think that’s a mistake,” Sinema said. Despite lawmakers’ concerns, however, an official with at least one Arizona veterans’ organization said he hopes Nelson can do something positive for the Phoenix facility, which serves 85,000 veterans in the region. “Those of us who are veterans and are under the care of the veterans administration – we’re hopeful that this person is going to be able to do the job that she was assigned to do,” said Ken Marshall, senior vice commander of Arizona’s Veterans of Foreign Wars. Marshall said he does not know how many of the lawmakers “are under the care of the Veterans Administration,” but that it’s too early to criticize Nelson, who just started in Phoenix. “There’s no way that she can be successful at all if everybody jumps on the negative bandwagon, before she even gets here,” he said.